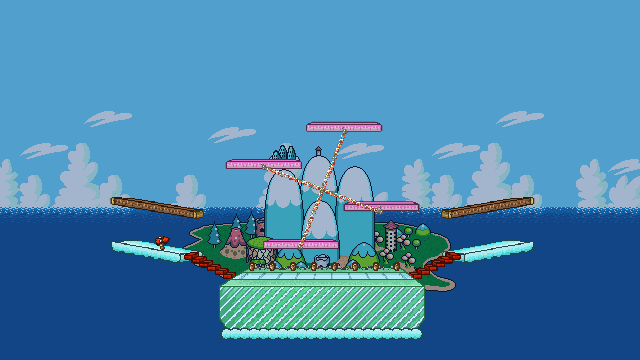 Home of the Yoshis, this peculiar version of the island is based on Super Mario World 2: Yoshi’s Island. 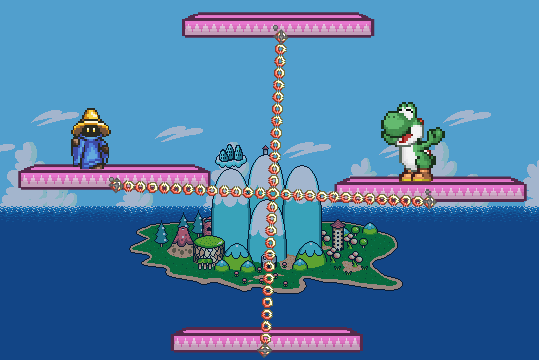 This stage’s main feature is a set of four platforms rotating in a circle. Thick outlines and pastel colors. It almost seems like a children storybook. Sometimes, Goonies fly by for you to step on. 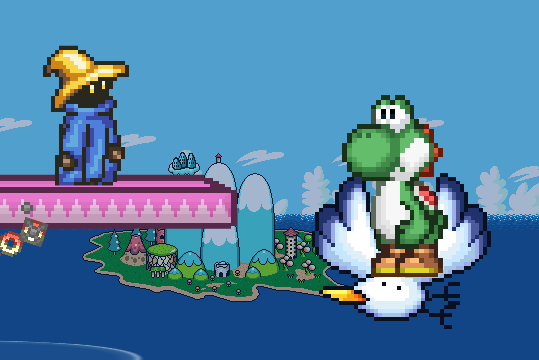 There are also winged clouds, which drops items when attacked. 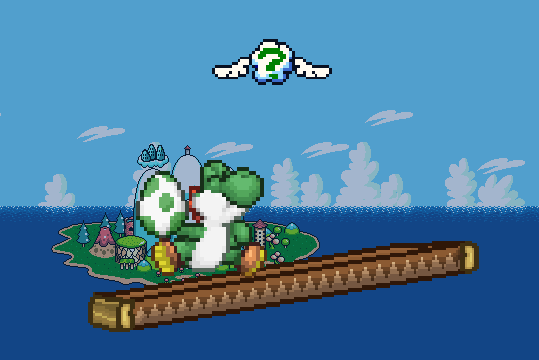 Full of life and happiness, Yoshi’s Island is a quite nice place!